TORQ is a Fitness Consultancy, there roots are firmly entrenched in fitness consultancy, coaching and mountain biking, this provides them with a unique edge and integrity. TORQ have developed a range of performance nutrition products including their own range of Energy Bars and Drinks, through a need to offer the highest standard of support to the athletes they work with. TORQ continually develop and perfect their range. Formulated for liquid refreshment and replenishment and containing only natural ingredients with no colourings, artificial sweeteners and preservatives, TORQ's energy drinks are the natural choice. Natural flavours include: Natural Pink Grapefruit; Natural Lime and Lemon; Natural Orange; Natural Lemon; and Natural Unflavoured organic(Suitable for Vegans). TORQ have gone to considerable lengths to create a healthy range of all-natural snack bars designed for athletes and physically active people, to be consumed at leisure. Suitable for vegetarians, TORQ's Snaq bars are produced with Fairtrade cold-pressed (uncooked) ingredients and offer indulgence without being unhealthy. Rich in natural micronutrients, containing multi-transportable sources of carbohydrate, protein and dietary fibre, TORQ Snaq bars are gluten-free and their fat content is also very low for bars of this luxury nature. The Torq Energy Drinks Bottle is a quality wide-mouthed drinks bottle designed to be easy to clean and dishwashable. The wide neck also facilitates the capture of your valuable Torq energy powder. Also featuring a clear measuring strip. 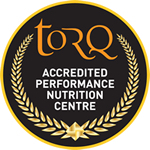 Cyclesense is a TORQ Accredited Performance Nutrition Centre, TORQ have worked nationwide with cycling, running and outdoor stores to create these centres. Paul has been expertly trained by the Sports Scientists at TORQ. Paul has covered subjects which include Training Theory, Energy Systems, Nutrition (fuelling and recovery) and Periodisation/Peaking. 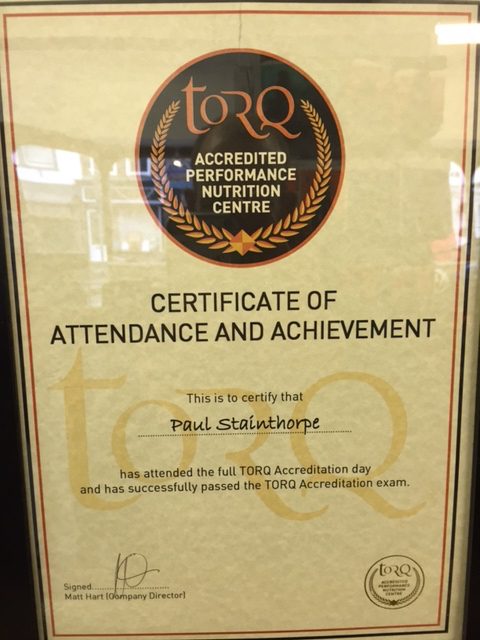 To become accredited, Paul has passed a comprehensive exam set by TORQ, so you can be assured that the assistance you receive will be accurate and reliable.